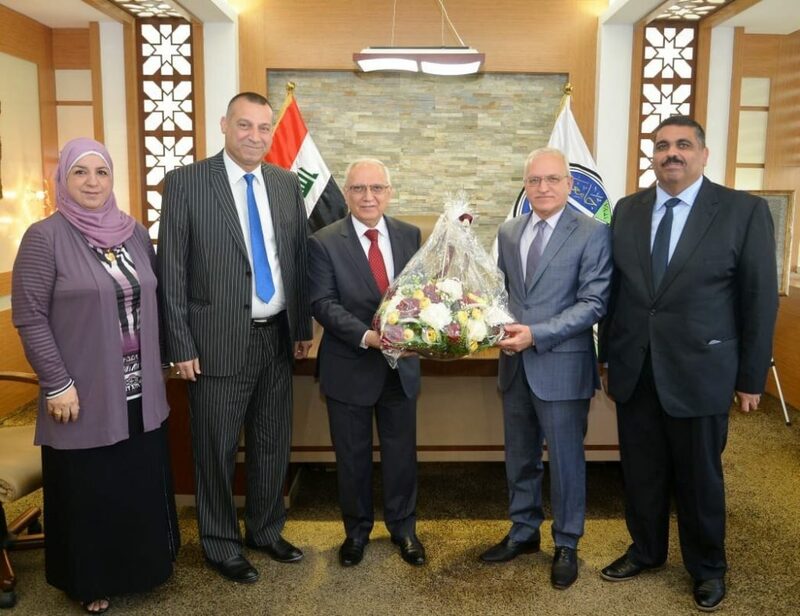 His Excellency Minister of higher education and scientific research, Prof. Dr. Abdul Razak Al-Issa congratulated University of Baghdad on the occasion of its entry in British Times Rankings for best world universities. 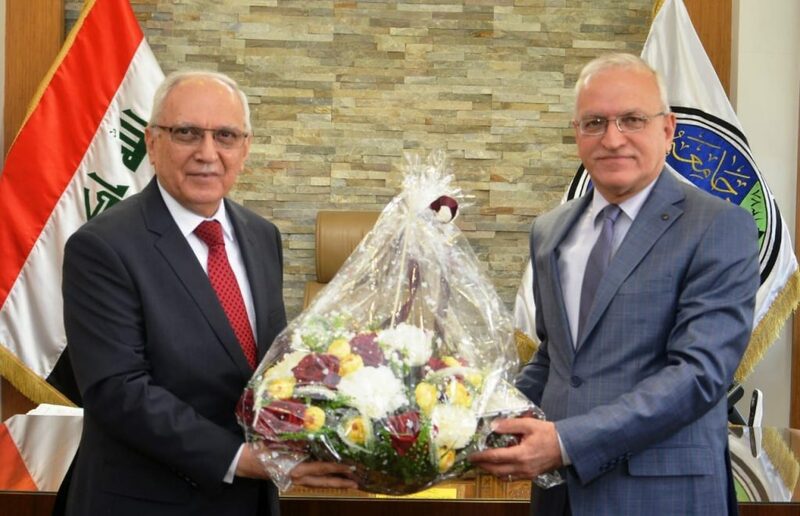 His Excellency the minister presented a bouquet of flowers during this event to the Rector of University of Baghdad Prof. Dr. Alaa Abdul Hussein Abdul Rasool and confirmed that our university excelled its peers in Arab region in obtaining the 801th rank out of 1258 universities in scientific research criteria as the result of the steps adopted in publishing global research. For his part, the university rector stated that this entry in international rankings reflects its outgoing progress in the right direction which serves the academic construction and development in various fields. 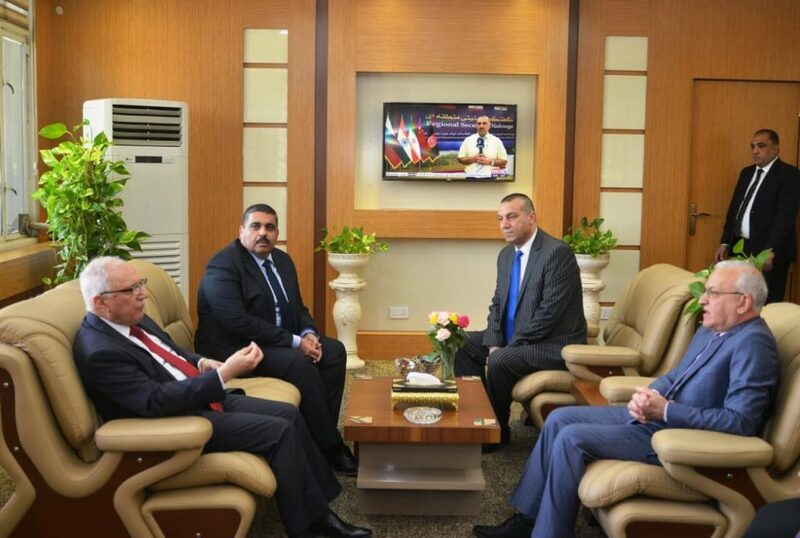 It is worth mentioned that the ministry of higher education has provided 100 seats for Arab students to study at Iraqi universities according to standards of globalization in recruiting foreign professors from different countries of the world to increase the global rankings of Iraqi universities in general and University of Baghdad in particular.